Deliciously smooth results for icy drinks and more. Smoothies are one of the fastest and most delicious ways to get your fill of fresh fruits and veggies. 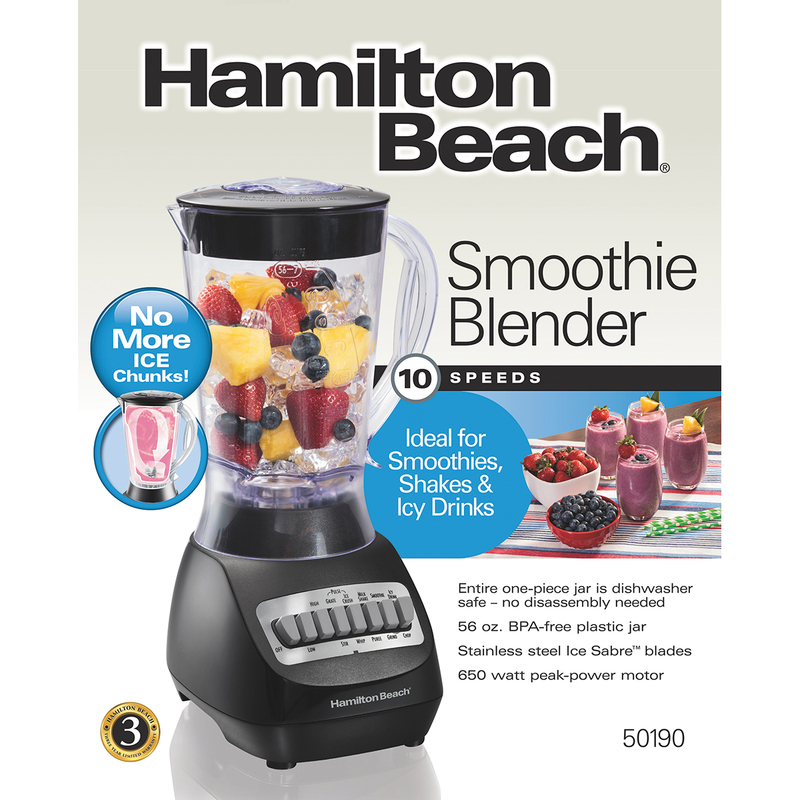 Whether it’s a breakfast staple, a post-workout snack or an afternoon treat, it’s easy to blend up a healthy drink with the Hamilton Beach® Smoothie Blender. With its durable, Ice Sabre™ stainless steel blades, powerful 650 Watt peak-power motor, ten speeds and pulse blending action, it’s fully equipped to prepare a variety of great-tasting beverages. 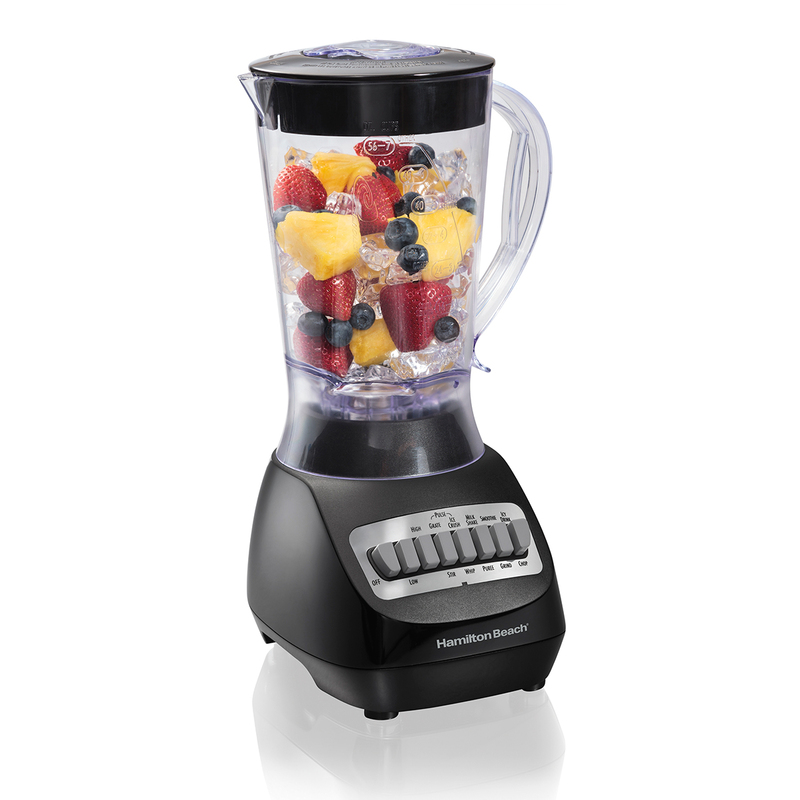 Ordinary blenders spin contents around the walls of the jar, which can leave whole pieces of fruit and ice untouched by the blades. The Wave~Action® System has a unique container and blade system which is designed to continually force the mixture down into the blades for perfectly smooth results every time. The 56 oz. container jar is one piece, making storage and cleanup a breeze. The filler cap makes adding liquids while blending easy, and the spout eliminates messy drips while pouring. 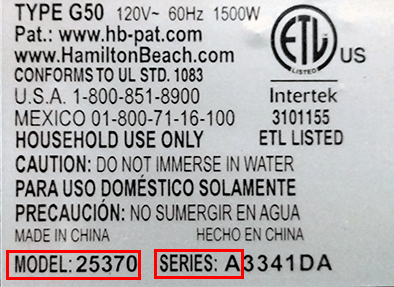 For your peace of mind, this product comes with a three-year limited warranty. 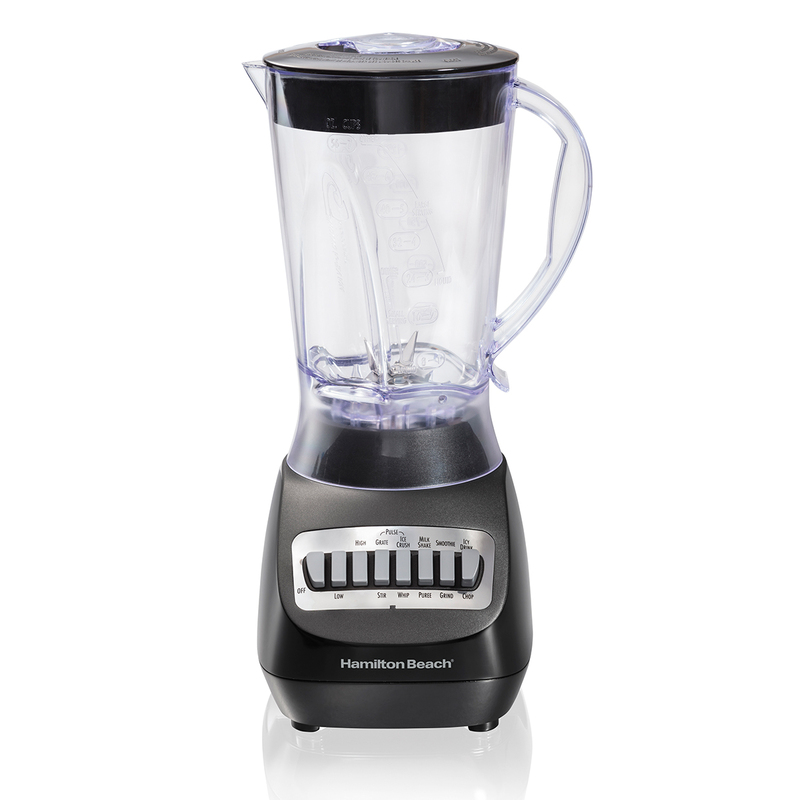 Ordinary blenders spin contents around the walls of the jar, which can leave whole chunks untouched by the blades, but the Wave Power® Blender has the patented Wave-Action® System, which continually forces the mixture into the blades for consistent results. The entire 56 oz. plastic jar can go in the dishwasher for easy cleanup – no disassembling of parts is necessary. The large size is perfect for entertaining or multiple servings. Blend your favorite fruits, juice and yogurt together for a delicious smoothie, or cool off on a hot day with your favorite frozen drink. 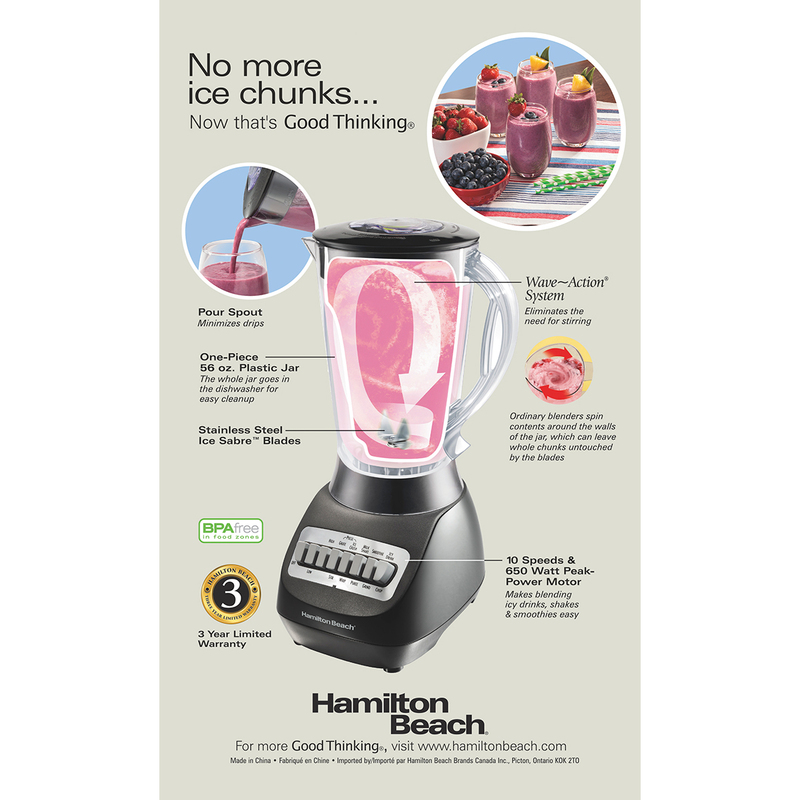 This blender was made to give you the flexibility to mix your favorite ingredients into a delicious drink. The jar’s pour spout was designed to minimize messy drips. Add in ingredients while the blender is spinning with the filler-cap on the jar lid. Measurement marks make it easy to get the exact amount. 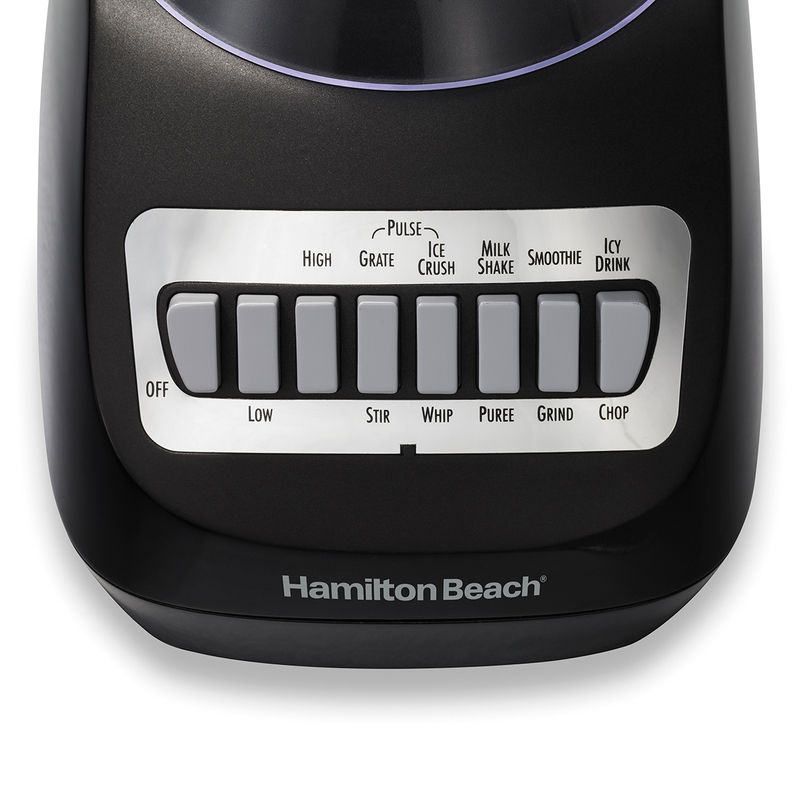 Have ultimate control of your blending with 10 speeds plus pulse.